£11.75 each & FREE Delivery in UK. • 22 quarter sheets of sandpaper (12cm x 14cm approx) of grits 800 , 1000, 1200, 1500, 2000 and 2500. 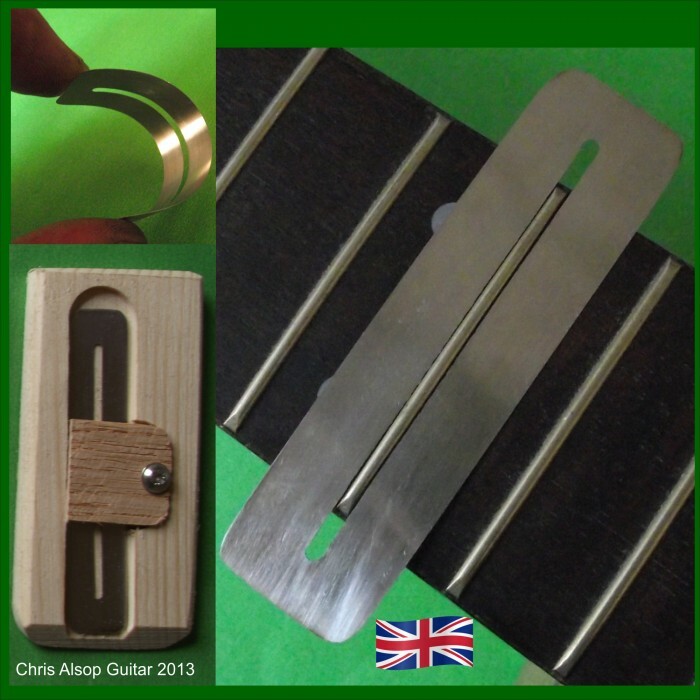 • A fretboard protector strip made of spring steel strip to protect the fretboard. Its only a couple of rubs with each item and a mirror finish will result. The spring steel strip is a well proven tool I make and sell - it is made of hardened spring steel with remarkable properties - this strip is only 0.1mm thick but it will last forever and never kink. The sand papers glides across the surface of the fret and protector strip very easily, making this job so much easier and quick.